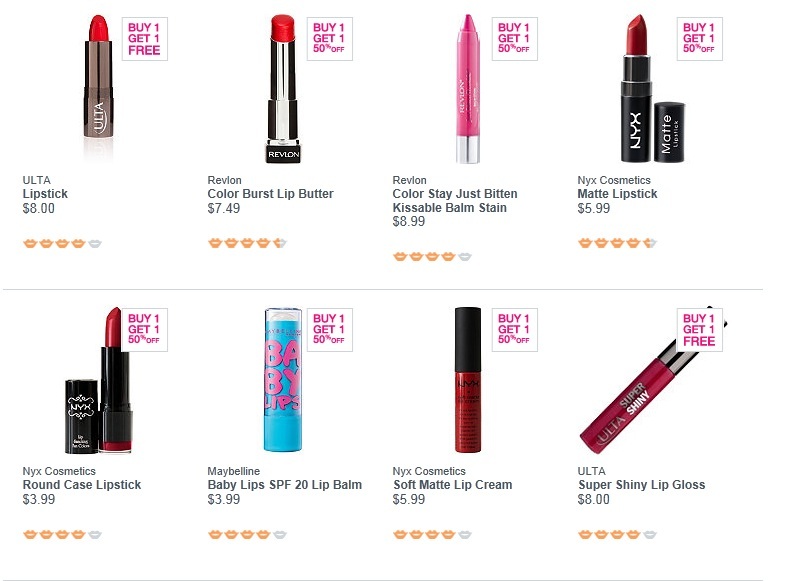 Print this to get $3.50 off any $10 purchase at ULTA or use code 108471 to shop on-line. I was browsing the site, lots of sales going on so this coupon could make for some really good deals! 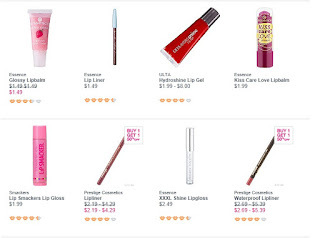 I found lipgloss as low as $1.49, that's always the first place I look, I admit I have a problem I am addicted to chapstick. Just the thought of not having chapstick or lipgloss in my pocket makes my lips chapped! I spotted some buy one get one 1/2 off and buy one get one free lipsticks!